You have spent more than a month looking for candidates for the company. You are so happy to finally find an outstanding candidate for your team. But… after three days at work, the candidate quietly left with the reason of “inappropriate work”? This situation is a very common case that the recruiters often encounter. Recruiting people is difficult, but recruiting the right people is much harder. For excellent candidates, they need two factors – competence and cultural fit. While competence is a prerequisite for the candidates to meet the job requirements, cultural fit allows them to maximize capacity in the new environment as well as build the foundation for a long-term engagement in the company. In reality, the company can accurately assess the competence of candidates through work experiences. However, whether the candidate is suitable to the company’s culture or not, still needs more consideration. As a result, more and more businesses are approaching CxO Search, a leading recruiting agency (or ESS) focused on job-match and culture fit placement, to seek advice. In order to recruit people who match the job and fit the culture, CxO Search successfully negotiated to become the official distributor of Extended DISC (EDISC). It is a behavioral test that is widely used in the world. 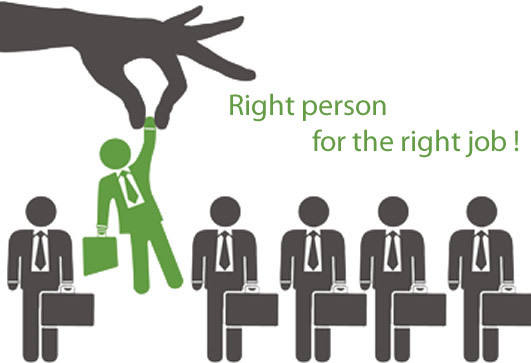 CxO Search itself also uses EDISC in recruiting and training its own consultants. The application of this methodology to evaluate the unconscious behavior in the interaction process between customer and candidate allows CxO Search to gather more accurate information. Top candidates are always evaluated by EDISC and submitted to the customer before the final interview round. This ensures that the “hidden” elements of the candidate’s personality, behavior, and the instinctive reaction can be accurately measured before the situation, thus allowing the employer to predict the degree of similarity between the company’s culture and the candidate’s personality. Contact CxO Search for consultation on ESS recruitment services.